We neuter and return cats to their colony so that fewer kittens are born - but we struggle to keep up! 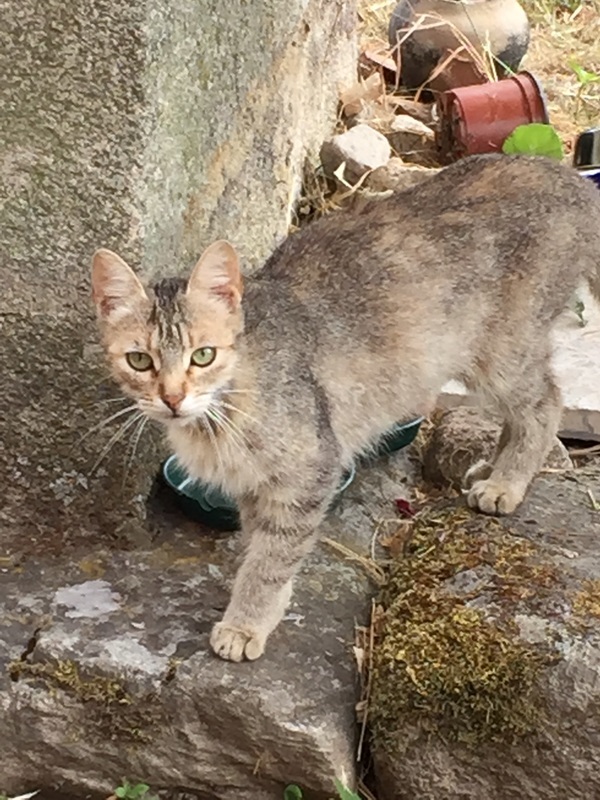 Our aim is to improve the health of a colony of feral cats in a village in the North of Spain, and in the process, to promote the practice of Trap-Neuter-Return to other communities. 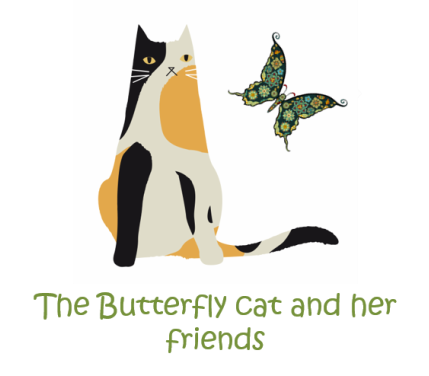 One of those cats we looked after a few years ago was what is known as a “gata mariposa” (butterfly cat) or a calico cat. We called her Kittykat and you can see her in the picture on this page, looking up at the camera. A butterfly cat's colouring is a genetic accident. They have black and ginger markings on a white ‘background’, and such cats are thought to bring luck in some cultures (see here for more on this). Around 2999 in 3000 cats with these markings are female, and we think that’s pretty suitable for this project. We’re hoping Kittykat can bring us luck in our project in her village. Our house is in a small traditional farming village. It is an area that is slowly depopulating – in terms of human beings anyway! 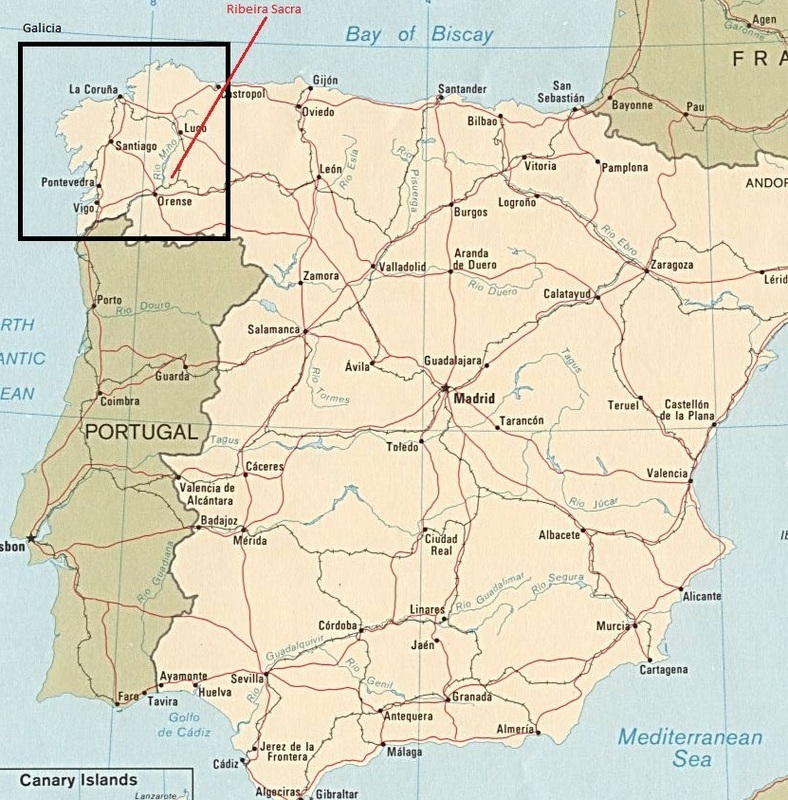 Here is the area, in North West Spain; in the magical region of Galicia. With our neighbours, we try to care for the cats in this feral colony. We aim to neuter as many as we can so that there are fewer hungry kittens, and so that we eventually will see a stable colony of healthy adults with sufficient food. We love animals and we want to promote the concept and practice of what is called trap-neuter-return (TNR). For more about TNR, about feral cats and other questions you might have, please see our FAQs page, but basically TNR is the accepted method worldwide to humanely support feral cats to live the healthiest lives possible, without the constant burden of hungry and sick kittens. Cats are not hurt in this process. They are trapped in a humane trap, kept overnight somewhere quiet and warm, anaesthetised and operated on by the vet, and then kept for a few more hours (usually overnight) to recover. Then they are released where they were caught and go back to their normal lives but without being able to produce kittens. We have been doing TNR out of our own resources – and with the kind help of an Australian vet friend from London - for a few years now but it is becoming overwhelming, and we realise that if we are really going to make a lasting difference, as well as influence some other communities, we need to get serious, stop trying to do it all on our own, and try to find some support. Bought and served a lot of cat food! 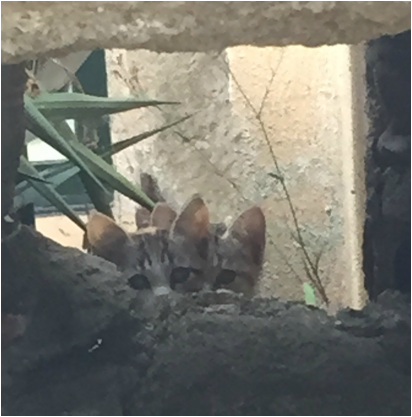 By the way, the Australian vet friend who helped us had volunteered to do the same work with the Greek Cat Welfare Society and learned all about TNR from them. What's life like for a feral cat there? The feral cat population is, as it is anywhere where there is no systematic programme to manage populations, always growing. These guys have a pretty hard life. Feral cats are thought to live for an average of around 3 years and apparently about half of the kittens die. In this particular colony, the unneutered females seem perpetually pregnant and hungry. Occasionally they have nasty injuries from foxes or from unknown causes (the tail-less cat in a photo below is a case in point), The males might have a slightly easier time of it but seem to be loners by and large, going walkabout a lot, fighting with each other, and sometimes getting injured or killed. Despite the challenges, the females and younger cats and the males when they are around, are well-natured, affectionate and playful with each other. The mums appear to look after each other’s kittens and they behave much like a group of connected families. They are generally very frightened of humans and give us a wide berth, of at least a few metres. Some have become bolder over time as they have realised we are not going to hurt them and in fact, we are a reliable if inconsistent source of canned food! Tortipizza will come within around a metre of us but she is unusual as she’s known us for a few years since she was neutered. We think she must be about 6 years old, which is quite an achievement. Our neighbours are very kind to the cats and cook macaroni with meat sauce for them. This is what keeps them going and is probably why they generally appear quite healthy. But there’s only so much to go around and some inevitably miss out.